Before we look at the numbers, let’s take a brief look at the test system that was used. All testing was done on a fresh install of Windows 10 Pro 64-bit (version 1803) and benchmarks were completed on the desktop with no other software programs running. This means windows defender, windows update, disk fragmentation and everything else that would interfere with testing was disabled. Windows 10 also had the power option set to high performance and we also disabled c-states and Turbo mode on the Intel Core i7-8086K to ensure our numbers are spot on and repeatable. The Intel Z370 platform that we used to test the storage drives was based around the ASUS ROG STRIX Z370-F Gaming motherboard with BIOS F12 that came out on January 2019. We used Intel Chipset Driver v10.1.17861.8101, Intel Management Engine Interface v1846.20.0.1177 and Intel RST v17.2.0.1009 drivers. 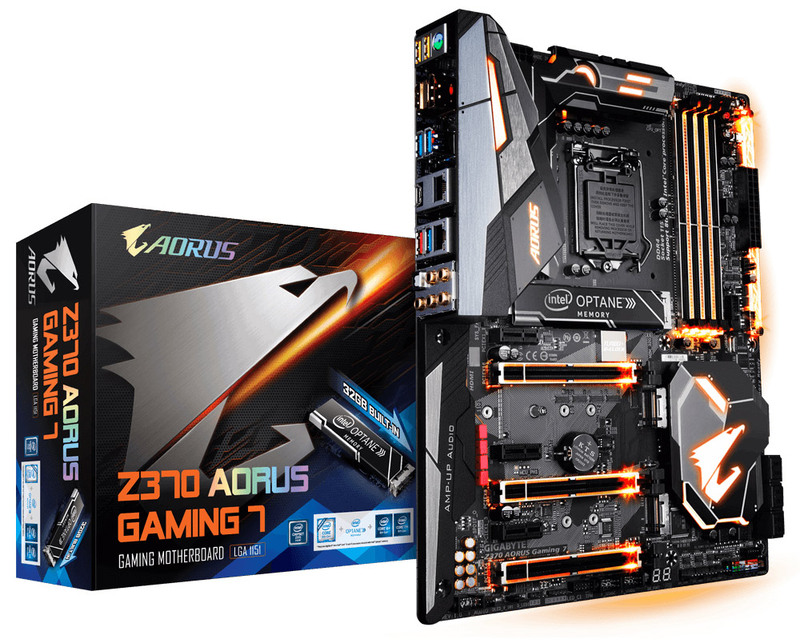 This is important to point out as they include some of the fixes for Meltdown and Spectre design flaws that have recently rocked the PC Market. The Corsair Vengeance LPX DDR4 16GB 3200MHz memory kit was run with CL15 memory timings and a Samsung SSD 970 PRO 512GB NBMe SSD was used as the primary drive. The readout on CrystalDiskInfo 8.0.0 shows that the WD SN500 250GB NVMe drive supports S.M.A.R.T.. 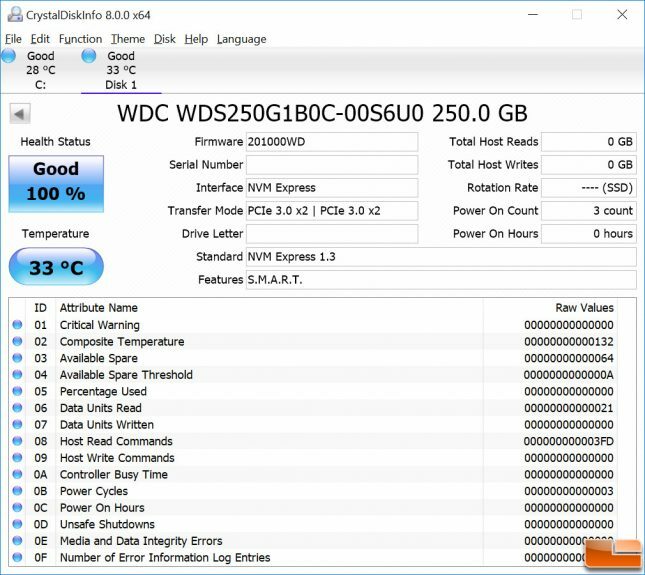 The drive we received had firmware version 201000WD installed and that is the version that we used for general testing and benchmarking. 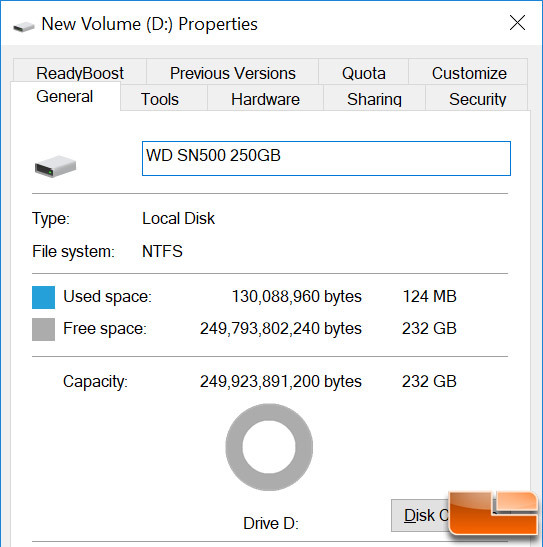 The overall capacity shows up as 232 GB on the WD SN500 250GB NVMe SSD in Windows 10. Please remember that 1GB = 1,000,000,000 bytes. A certain portion of capacity may be used for system file and maintenance use, thus the actual available capacity may differ from the labeled total capacity. Let’s have a look at the performance!